In my September 2015 article, I discussed parental and professional standards of care when considering supervision of children in residential placements. The reasonable and prudent parent uses judgment in making decisions about their children's care. Parents usually make decisions carefully, weighing the benefits and potential risks to come to a sensible decision that is in the best interest of the child. When professionals care for children, they have a duty to meet the same standard, but they also have a higher duty to meet the standards of a reasonably prudent professional. Professionals such as teachers, program administrators, psychologists, counselors, doctors, and nurses have the legal responsibility to exercise the level of care, diligence, and skill prescribed in the code of practice of their profession, the legal requirements of the government, and in the policies of the residential program. When a child has a condition or disability that is not common and when the child's disability cannot adequately be addressed in the local school, community, or at home, placement at a specialized facility to meet these needs may be required. These placements provide educational, medical, and residential programs. Staff who supervise children where they live act in place of parents. These adults are expected to protect the child from dangers and prevent the child from engaging in harmful or irresponsible behaviors. This responsibility fulfills the reasonably prudent parent standard of care. In addition, the care of these children extends beyond the simple need to house them, and meeting the professional duty extends in tandem with their needs and disabilities. In a residential facility, in loco parentis refers to how a supervisor or caregiver who directly oversees the actions of a child deals with the child's conduct. This is the same as when a parent sets boundaries for his or her child, then instructs, guides, or disciplines the child. In a residential setting, the person who is standing in place of the parent holds authority over the child, acting in loco parentis. Elements of in loco parentis define the duty that educators and caregivers owe to their students. This includes principles of negligence and the duty to anticipate foreseeable dangers and take reasonable steps to protect students from those dangers. When an adult acting in loco parentis steps over the line with regard to the role of a reasonably prudent parent, the residential facility may be liable for the adult's actions. As an example, a caregiver's use of undue force that would fall under the definition of assault and battery may be cause for liability if the child is injured. If a child assaults and injures another child during a moment of inadequate supervision, this also may also be a cause for liability. The Ohio Supreme Court has stated that although a teacher may stand in loco parentis with regard to enforcement of authority, the teacher does not stand in loco parentis with regard to one's negligent acts and thus is not accorded the same tort immunity given parents (Baird v. Hosmer, 46 Ohio St. 2d 273, 75 Ohio Ops. 2d 323, 347 N.E. 2d 553 (1976)). In the same way, while a person in charge of a child in a residence is considered acting in loco parentis, that person is not safe under tort immunity if he or she failed to act as a reasonably prudent parent. A residential program becomes that child's world. All his or her needs must be met, including shelter, food, medical care, counseling, and recreation, just as if the child was living at home and attending school. In this all-inclusive setting, there are people trained as professionals - teachers, counselors, psychologists, and supervisors - who have total responsibility for the health, safety, and well-being of the child. These programs must have adequate plans for meeting the needs of the children in their care, and these plans should be shared across disciplines and departments. For example, if a student has demonstrated behavioral problems while on a school trip, that information should be provided to the adults who are in charge in the residence and are acting in loco parentis. This process is similar to a schoolteacher informing a parent at home about a child's behavior. The intent is to work together with the parents in the child's interest. When this system is nonexistent or breaks down in a residential setting, resulting in student injury, the program may be open to liability. If a teacher observes a student running away during a class trip but fails to share that information with those in charge of the residence, the agency might be liable if the child wanders off and is injured. The agency had knowledge of the student's behavior, failed to report it to those in charge of the residence and, overall, failed to enact a cross-departmental plan to protect the child. To protect children from harm and the agency from liability, it is important to conduct the required evaluations and assessments, have as much information about a student as possible, seek additional information when warranted, assess and evaluate behaviors and symptoms, share that information with key staff in residential, school, and health departments, and develop comprehensive plans that account for safety and supervision. All professionals involved, including residential staff, should pay attention to a child's new behaviors, manifestations of challenges, and conditions that are part of their disability or diagnosis, and use that information as part of a coordinated approach for meeting the standard of care for the child in their custody. For example, I was engaged as the education administration and supervision expert witness in a case involving a child who had been receiving extensive counseling through a residential program's health department. His tendency toward violent behavior and information about triggers for such behavior were not shared with other adults in the program, nor was this information used to develop a safety plan. Treating professionals did not assess and evaluate the student's key signs of mental health deterioration, despite many instances that should have caused them to provide additional care. Eventually, the student suffered a mental breakdown, broke into an administrative office, grabbed scissors, and escaped the building. Police who arrived on the scene shot the student when he did not respond to their demands to put the scissors down. Mentally, he was not aware of what was going on and did not understand the police's instructions. My review and analysis of this case led me to conclude that the program had sufficient information about the student's emotional and behavioral issues but failed to address those manifesting behaviors, and on the day of the incident, staff was unable to communicate effectively with him to de-escalate the behaviors. Before being shot, the student was confronted by a teacher who did not have complete information about the student's behavioral issues or how to deal with them. The teacher's actions escalated the behavior, placed other students and school staff in harm's way, and ended in student being shot. If the program had an overall safety plan for this student that included staff training in how to deal with him, it is less likely that he would have been shot. It was my opinion that the program, through its administration and other staff, breached the standard of professional care when it failed to address the student's mental health issues, failing also to inform and train all staff about the student's problems and how to protect the student and others from harm. Numerous case reviews by Education Management Consulting, LLC, have concluded that a residential facility or agency had access to policies and provincial, state, or federal rules, but those policies were not implemented nor was staff adequately trained to use them. In some of these cases, the result was that children were injured, sexually abused, or physically assaulted by other students. Prevention, detection, and reporting of child abuse, knowing how to administer appropriate restraints without injuring a child who acts out, and understanding the requirements for continuous supervision of children are just a few of the areas that require training and oversight. If an injured plaintiff can demonstrate that the facility had in-house policies or that government policies were available but it failed to train staff in those policies and supervise their work, then the program may not be able to avoid liability. Frequently, when I review a case as an expert witness, I find that the facility had adequate policies, the supervision of children and staff-to-child ratios were good, and the discipline code and rules for children were well thought out and reasonable, but there was a breach in the system. In one such case, for example, a child in a residential school sexually assaulted another in the bathroom. On paper, the policies and supervision procedures looked good. The missing link was that staff responsible for supervising children had knowledge that the predator had done this before, yet made no attempt to provide additional supervision when this particular child was alone with another. Policies are only as good as the training and monitoring of staff responsible for implementing them. In this case, the facility had knowledge of one resident's sexually aggressive behavior, but failed to take any reasonable steps to prevent her from harming another child. They failed to provide her with any counseling or heightened supervision, and in fact one of her first offenses was not reported to outside authorities for investigation. In essence, she was allowed to continue her inappropriate behavior. If the facility provided her with appropriate follow-up counseling, reported the first incident to the authorities, and stepped up its supervision of her, it would have been, in my opinion, less likely that this incident would have occurred. The American Academy of Child and Adolescent Psychiatry provides guidelines for residential treatment programs in its 2010 publication, Principles of Care for Treatment of Children and Adolescents with Mental Illnesses in Residential Treatment Centers. The Academy offers an approach for professionals about the provision of services and some important training and educational standards, such as hiring staff with appropriate credentials and experience. There are other similar publications, training programs and professionals available to assist residential care centers with training and keeping up with the standards in the field. On December 3, 2014, the Chicago Tribune reported that thousands of children in residential treatment centers in Illinois are assaulted, sexually abused, and run away. The residential centers promise round-the-clock supervision and therapy to children who are wards of the state and who have histories of abuse and neglect, as well as to other disadvantaged youths with mental health and behavioral problems. The Tribune reported that patient-on-patient sexual assault is commonplace at some facilities, and vulnerable children are terrorized by older ones. Some are preyed on sexually by adults paid to care for them. In the three years ending with 2013, Illinois residential facilities reported 428 alleged cases of sexual assault or abuse of children in their care to the state Department of Children and Family Services. The state and program administrators said they are underfunded and overwhelmed by too many children, many of whom don't belong at the facility. In a legal assessment of whether a program, its administration, or staff acted appropriately and reasonably in a specific circumstance, however, these are no excuses. Adults in schools, camps, daycare centers, and residential programs have a duty to protect children from harm. But when children are placed away from home, out of sight of parents in residential programs, it isn't unusual for them to be subjected to harm. Unfortunately abuse and mistreatment typically comes to light after years of poor management, lack of training, lack of government oversight, and staff incompetency. In so many institutions and residential programs, children are often forgotten - out of the sight of the public and their parents. Some programs began in the 1800's when social capabilities and awareness, along with frustration and lack of resources, forced them into existence. We are just realizing now that so much mistreatment and abuse has taken place but kept quiet and children were hurt. 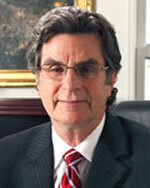 Dr. Edward Dragan, provides education expert consultation for high-profile and complicated cases. As an educator and administrator, he has more than 35 years' experience as a teacher, principal, superintendent and director of special education. He also has served as a state department of education official.